I say “bout” because dealing with kidney stones is like stepping into the ring with a brutal opponent. If you’ve ever been punched in the kidney (prohibited in boxing) you got a hint of how vulnerable that organ is. Most of us are familiar with the cliché of old folks complaining about their ailments–you’ll see them comparing health horror stories with each other in, say, the aisle of the grocery store or in line at the post office. Their tone is inevitably one of disbelief: I got a boil the size of a potato on the back of my neck–what’s with that! Disbelief because the human body is mostly resilient and serves us remarkably well . . . until it doesn’t. And, then, when it fails, it can fail spectacularly. One day I was working full-tilt on restoring my old farm house and then the next day I was on my knees in front of the toilet. I couldn’t stop vomiting. 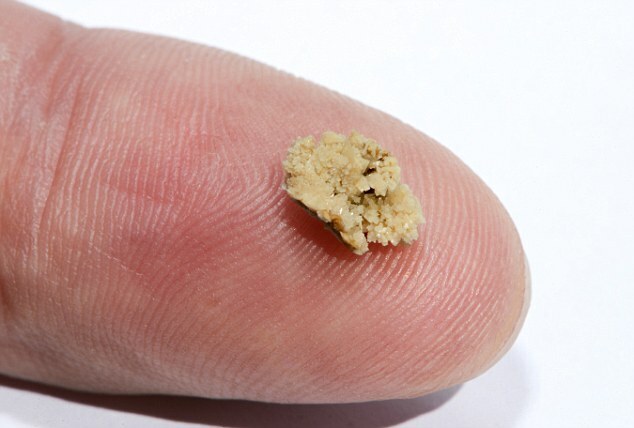 That’s one of the symptoms of kidney stones: your body is such dire pain, it reacts in shock. The pain lodges deep in your body–generated by that little stone (size of a petite pea) making its way down the tube from the kidney to the bladder and then the bladder to the urethra. Could take a day. Could take a week. Mine woke me at 5:00 AM. At first it felt like a strained muscle but then the pain spread until it felt like little steel clamps were crushing my organs. By 7:00 AM I was doubled over and vomiting, and could hardly talk, much less walk. By 9:00 AM I was in the ER, where mercifully they put me on morphine. By 11:00, I was sleeping (still in the ER) and oh-so-grateful for the relief. The next day I had only the mildest hint of pain on the affected side. I thought, Wow, I’m in the clear! My urologist said we’d have to wait and see what the stone would do. “Good luck,” he called as I left. The next morning, the stone felled me again and I entered the dark, rock-shard landscape of illness, where hour after hour I clawed my way to an endless horizon, hoping for relief. Pain meds were tamping down the worst of it but not enough to give me relief. I gasped and groaned. No thought, no image, no memory could console me. Even though I was on anti-nausea medication, I felt ready to vomit at any minute, bloated from the gas of a bladder infection. About 24 hours later, exhausted from crawling through my nightmare landscape, I found myself dropping off to sleep at last–it was a break from the extreme pain. Maybe I had turned the corner. Maybe I could see light on the horizon. For sure, the stone had moved because that pain had moved, mostly centered in my abdomen. But by Sunday, I was back in the ER, desperate for relief. Their CT scan showed that the stone had hardly moved. Actually there were two stones: one 6 mm, the other 5 mm. 0The next day I was in surgery. But once my urologist got inside me, he said they couldn’t get the stone, not yet. So he put in a stent. 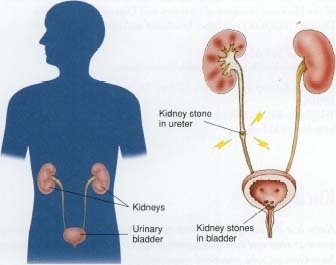 An operation to remove a kidney stone is fairly simple but not a minor procedure because you have to go under general anesthesia.. The doctor then inserts a probe up your urethra and then up ten inches or so to get to the kidney. The doctor then uses a laser to zap the stone into tiny pieces, which later leave in your pee. The stent was a blue tube about the diameter of the earphone cord to a cell phone. It was looped into my kidney and ran ten inches down to my bladder. It was meant to keep that tube clear and prevent the stone from lodging itself in that vital duct. A kidney stent drives some people crazy because they can feel it deep inside them and it can be painful. It makes you pee a lot too. Thankfully, mine wasn’t painful (except for one day); but it gave me intermittent twinges and slowed me down considerably. I peed blood every day. A week later I was in surgery again. Afterwards, the urologist said he might have gotten the stones; it was hard to tell. That meant another weak with the stent in. Another week of peeing blood and moving slowly. Just yesterday I got another x-ray and then visited my urologist. He said the x-ray showed that I was clear of stones and so he could remove my stent. Removal of the stent is an outpatient procedure. The nurse inserts numbing gel into your urethra, then the doctor uses a scope–a frighteningly large probe, almost the diameter of a pencil, with a light at it end. That thing goes deep inside the patient and, remarkably, although it feels weird and seems horrible, it’s hardly painful. I could feel him pulling out the stent. And now I am a free man again. 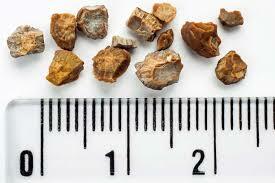 So, what causes kidney stones? Mostly, it’s the lack of water, often combined with a diet that causes crystalline deposits in the kidney. For some people, too much spinach might cause kidney stones. For me, it was the lack of water: I’ve been working on the farm for a year. In warm weather I’d sweat so much I could wring out my sopping t-shirt; I’d have to change my shirt three times a day. And I wasn’t replenishing that liquid. I can’t go through this again. Now, I drink lemon juice every morning and, everywhere I go, I take a full water bottle.